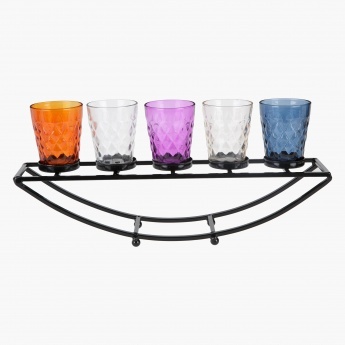 Deck your home and add a bright element to it adding this tealight stand to it. 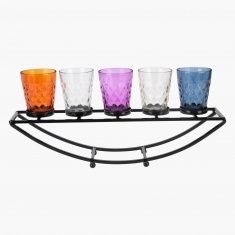 It featuring five glass holders for candles with attractive colours that add to its appeal. 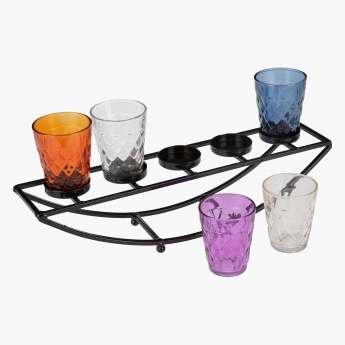 Made from metal, the strong stand is classy and sports a modern styling.